These side pulpit chairs are impressive and dignified. You can choose whether you want the stained finish to be medium, light, or dark, whichever suits your interior design better. 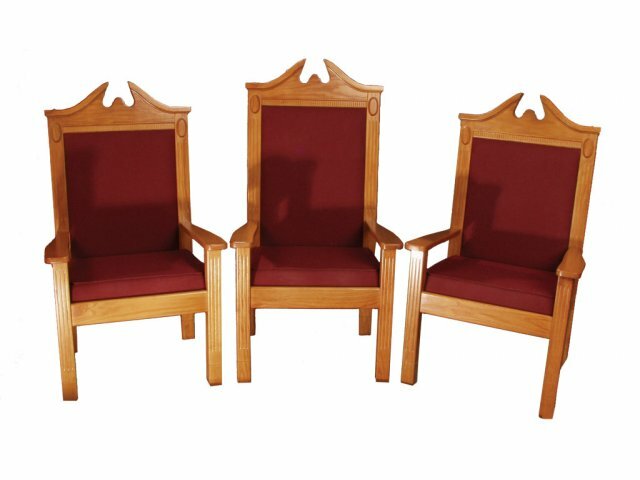 Handcrafted from the finest oak veneers and solids and meticulously finished to preserve the natural grain of the wood, these side pulpit chairs complement the décor of your interior. The graceful design of the pulpit chairs is enhanced by a choice of subtle yet elegant colors. 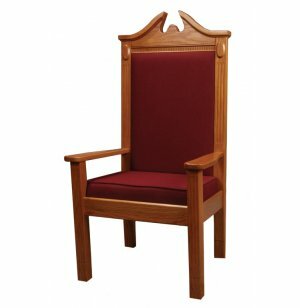 The solid-oak core means that these side pulpit chairs will last for many years while the thick three-inch seat cushion and one-inch padded back make this a comfortable chair for church leaders. 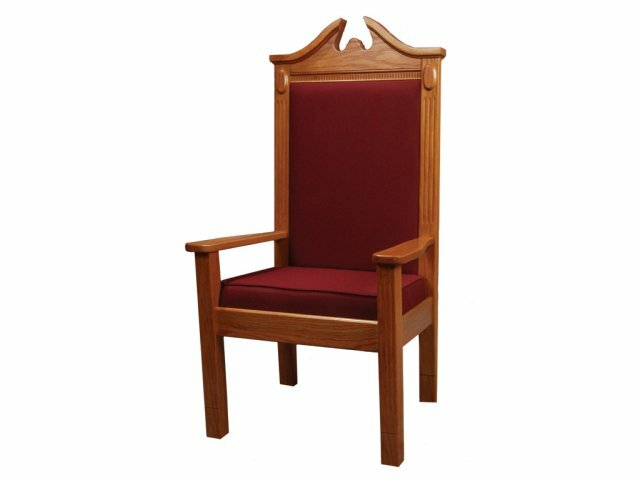 Rising forty-eight inches high, these pulpit chairs will complement a center pulpit chair. The seat dimensions are a generous 21.5 inches wide by 18 inches deep, to accommodate the wide variety of people who will occupy them. Comfortable: A 1"-thick padded backrest (veneer on rear side) is good for long services. Solid: Made with solid red oak frames and solid wood armrests. 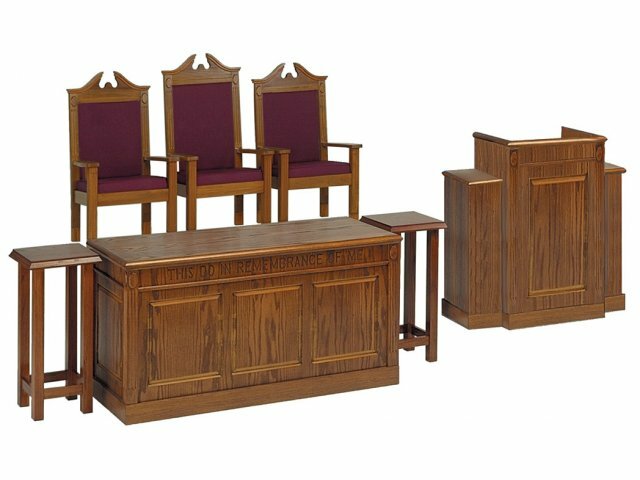 High-Quality: This church furniture collection is handcrafted from oak veneers and solids. Tough Construction: Joints feature dovetail and dado construction. Attractive Finish: A Special three-step lacquering process gives these pieces an appealing shine. 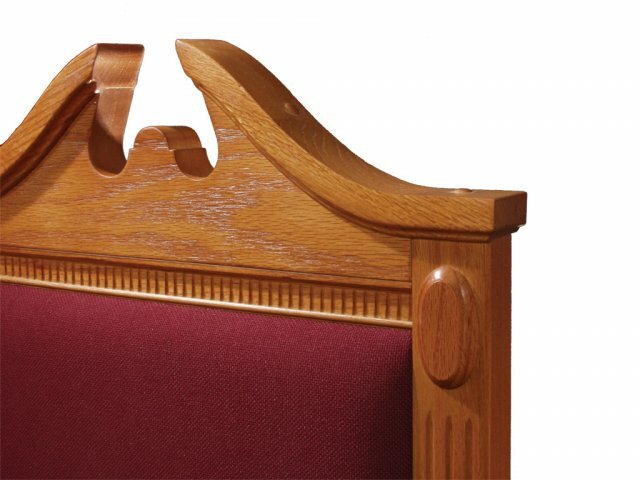 Selection: This church furniture is available in two styles. Choice of Colors: Available in a selection of wood finishes and fabric colors. Guaranteed Durability: A 25-year warranty guarantees years of use and enjoyment.